It's a nice thing to stay in the West Shore and have access to every kind of snow sport you can think of in ski resorts in Tahoe City. The three Tahoe City resorts here are on the smaller side, but that's what makes them preferable to the many skiers who frequent them. 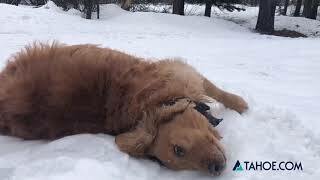 Clearly, once you're out on the snow, what's important is right there under your feet. Plus, these ski resorts in Tahoe City are known to have some of the best views of the lake of any resort in the entire area. Seems like a great combination, right? The European-inspired Granlibakkan Resort and Conference Center is the place you go if you want a complete Tahoe City ski resort. Here, in addition to a quaint ski area with rope tow and poma lifts that transitions to a popular ropes course and hiking and biking area during the summer, guests are pampered at the on-site spa and the fine dining restaurant. If you're not particularly a downhill sort of skier, another Tahoe City ski resort might be more up your alley. 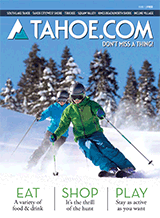 Tahoe Cross Country Ski Area features groomed trails, ski schools and youth skiing programs. One of the best aspects of this resort is that they even have trails where you can take your dog along! The other ski resort near Tahoe City (that's actually located in nearby Homewood in the West Shore area) is, appropriately named Homewood Mountain Resort. It's small and great for skiers who are still learning the sport. And, like we said, the views...wow! Some Lake Tahoe ski areas are geared for the skilled athlete who needs lots of verticals and terrain. If you're a beginner, this might be a little intimidating. But at Tahoe City ski resorts, even if you're strapping those long, awkward things to your feet for the very first time, you feel like you belong. Look around and you might see smiles of understanding from others who are pie-ing their way down the bunny trail too!